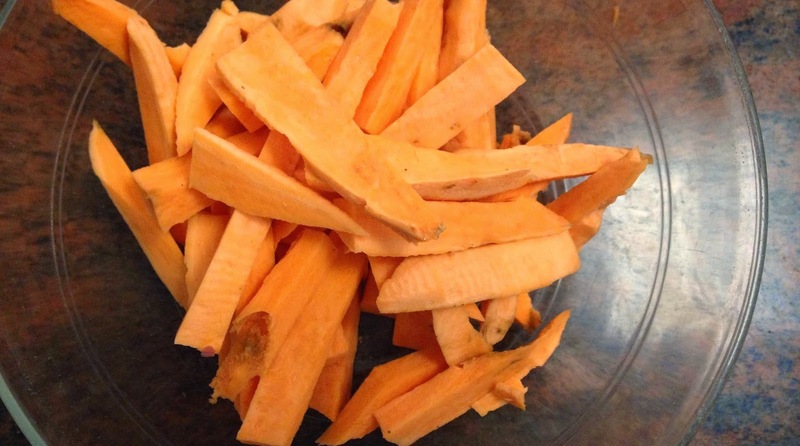 How to: Baked Sweet Potato Fries | RAWR BOWS. 1. Preheat the oven at 250 C.
2.Peel the potatoes and cut them in wedges or any shape you want. I used one big potato for three people and it was not enough. So I would say either a potato per person or half a potato per person, depending on the size. 3. Add some olive oil, enough to coat all of the pieces and black paper, salt and garlic powder to taste. 4. Put the uncooked fried on to your baking tray (use some non-stick spray or oil so that the fries don't stick to the tray) and place them in the oven for around 15min at 225 C.
5. Take the baking tray out and flip all of the fries so that they cook evenly and put them back in the oven for around 10min (I put them back in for 15min instead of 10 and they got burnt so keep an eye on them). 6. Take them out and they're ready to eat! 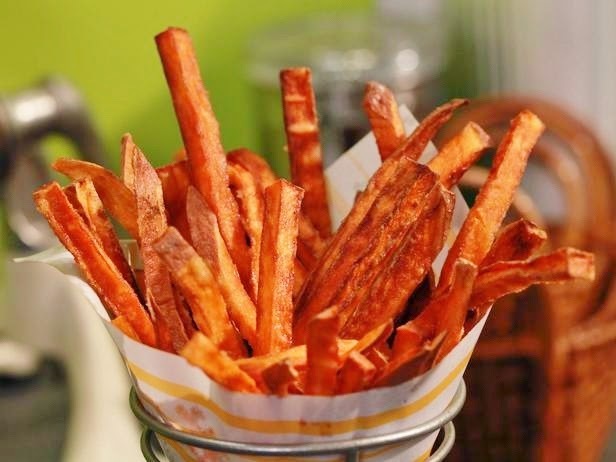 Have you ever tried sweet potato fries? Did you like them? Sweet potato fries are a superior fry experience! they look so simple to make! i LOVE sweet potatoes so i'm totally going to give this a try!